What is CPC Game Reviews about? What type of games do you review? Where can I read the reviews? Can I download the games that you've reviewed? I've downloaded some games, but when I unzip the ZIP files, all I find is one or more files ending in .DSK, and another file called file_id.diz. What do I do now? I've installed an emulator, but how do I load the games? What is the meaning of the symbols that appear beside some of the games? Can I submit my own reviews to CPC Game Reviews? CPC Game Reviews is a website which, as its name suggests, contains reviews of games for the Amstrad CPC computer - hundreds of them, in fact. It also contains a collection of advertisements which have been scanned from Amstrad CPC magazines. If you're not familiar with the Amstrad CPC computer, here's a summary. 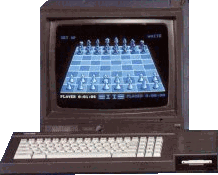 It's a computer that was first released in the UK in 1984 and which remained popular until about 1992, when the number of games being released began to dwindle, and 16-bit computers and consoles gained more market share. Its main competitors at the time were the ZX Spectrum and the Commodore 64, which a lot of people should be more familiar with. In the UK, these two computers were more popular than the CPC, but in France, the CPC was very popular indeed. The CPC was also fairly popular in Spain and Germany. A total of five models were released. The CPC464 was released in 1984, with 64KB of memory and a built-in cassette deck, as well as a brightly coloured keyboard. The CPC664 and CPC6128 were released the following year. The cassette deck was replaced with a disc drive, and the CPC6128 also had 128KB of RAM instead of 64KB - still a long way from today's PCs with several gigabytes of RAM! Five years later, in 1990, Amstrad released the 464 Plus and 6128 Plus, both with greatly enhanced graphical capabilities over the normal CPC range, and with the ability to play games on cartridge instead of cassette or disc. However, for various reasons, the Plus machines were not as successful as Amstrad hoped they would be. Although commercial games stopped being released for the CPC by 1994, like most old computers, it is possible to play these games on your PC using an emulator. I originally started this site in November 1998 when I decided to create a guide to all of the games that could be played on an Amstrad CPC emulator, by reviewing them briefly and displaying a screenshot for each game. Since then, CPC Game Reviews has reviewed nearly 1,800 games as of May 2014, and has become one of the most popular websites dedicated to Amstrad CPC games. From about 2005 onwards, there has been an increasing number of games being released for free by CPC enthusiasts. Initially, I chose not to review these games, mainly because they were not strictly 'commercial' releases, even though it was possible to buy physical copies of some of them on cassette or disc, in addition to downloading them for use on an emulator. In 2009, some members of the CPC community criticised this policy, and after reflecting on this, I decided to allow these games to be reviewed as well. Another alternative is to look at a full list of every one of the hundreds of games that have been reviewed by CPC Game Reviews. If you click on the menu item "List of games reviewed", you will see a full list of games and their ratings out of 10. Click on the name of any game to read a review of it. Yes, you can! If you're looking at the review of a game, click on the title of the game to download it. It will be stored as a ZIP file, so you will need a decompression program such as WinZip or PowerArchiver to unzip it and extract the game itself. The games are all stored on a server in Norway known to the Amstrad CPC community as NVG; they do not reside on the same server as CPC Game Reviews. If you cannot download any of the games, it may be that the server in Norway is down. Since I am based in the UK, there is nothing I can do about this, and my advice is to try again some other time. 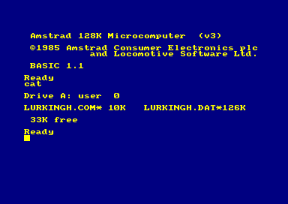 The DSK file is the file format that is used by Amstrad CPC emulators. Therefore, you must download and install an emulator to play these games. Read the previous sentence again! The file_id.diz file is a text file which you can read in any text editor, such as Notepad. It contains information about the game you have downloaded, and if you have trouble getting the game to load or work, you should read it to see if there are any known problems. Clicking on any of the names of the emulators above will take you to their website, where you can download the latest versions. Once you have installed an emulator, you can now use the DSK files that you have downloaded. The DSK file is an image of a CPC disc - a 'virtual' floppy disc, if you like. Follow the instructions provided with your emulator of choice and 'insert' the DSK file into drive A. Once you have inserted a DSK file, type CAT and press RETURN to display a CATalogue of the files on the disc. Now look for a suitable file from the list to load. Usually, it will have the .BAS extension, or sometimes no extension at all, and it will often be a small file. You'll soon get the hang of which files to try out. 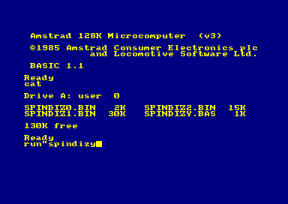 The example below uses Spindizzy (my favourite game for the Amstrad CPC) as the game to load. 3. This is the correct file, and after a short time, the title screen is displayed. 4. After another short time, the game finishes loading. 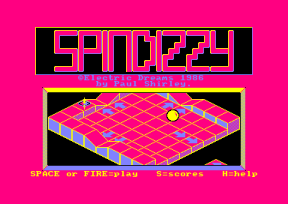 You're now ready to play Spindizzy! In a few cases, none of the files shown will load, or you may even see the message "Drive A: read fail" when you type CAT. If this situation occurs, then you may try typing |CPM and then pressing RETURN to load the game. The bar (|) symbol is obtained by pressing SHIFT and @ on a real CPC; on a British PC keyboard, you can obtain it by pressing SHIFT and [ (the key next to the P). The example below uses The Lurking Horror (an excellent text adventure) as the game to load. 1. A catalogue of the The Lurking Horror disc after typing the CAT command. Neither of the files shown will load the game, but the .COM extension indicates that it runs under CP/M. 2. Typing RUN"LURKINGH.COM doesn't work, so let's try |CPM instead. 3. It works, and after a short time, a message is displayed telling you that the game is loading. (This game doesn't have a title screen.) 4. After another short time, the game finishes loading. You're now ready to play The Lurking Horror! If a game crashes or hangs while it is loading, then it's likely that it doesn't work on the emulator you're using. Try it on another emulator, and read the file_id.diz file included with the game to see if there are any known problems with the game. The game appeared on an Amstrad Action covertape. Amstrad Action was the most popular Amstrad CPC magazine in the UK, and from 1991 onwards (and on a few occasions before that), a covertape was included with the magazine. A magazine advertisement is available for the game. Click on the symbol to see it. A few games have two advertisements, and two symbols are shown. You will need to understand French or Spanish in order to play this game properly. This mostly applies to adventure games which contain a lot of text. CPCSOFTS is one of the largest Amstrad CPC websites and is a database containing thousands of CPC games, utilities, demos and type-in listings. 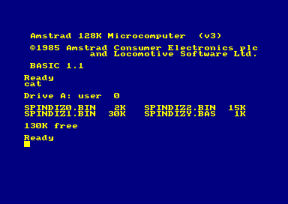 You can view information about each program, screenshots and scans of inlays and manuals, and download DSK files and CDT files (the cassette file format used by many Amstrad CPC emulators). Each game on CPC Game Reviews should have a link to CPCSOFTS. If you click on that link, a new browser window will open, and you can view more information about the game on the CPCSOFTS site. A review of the game, from between 100-150 words (if it's too large, I'll cut out some sentences to make it fit). This should include the background to the game, and your thoughts on the graphics, music, sound effects and gameplay. A score between 0 and 10. No half marks are allowed. A screenshot of the game, preferably in PNG format. I can accept BMP, GIF and PCX formats as well, but do not use JPEG format for saving your screenshots! Please ensure that the screenshot is not resized, as this will reduce the image quality, and also make sure that the display settings on your emulator do not blur the image. If you don't know how to obtain a screenshot, I can take one on your behalf, but it would save me a lot of hassle if you can do this yourself. Most Amstrad CPC emulators nowadays allow you to save screenshots by pressing one or more keys. CaPriCe, CPCE and WinAPE allow you to do this; read the instructions for each emulator to find out how. Another alternative is to press the PrintScr button on your keyboard, pause the emulator, and paste the screenshot into an art package such as Paint Shop Pro or Adobe Photoshop. The e-mail address to send your reviews (along with the rating and screenshot) is nich <AT> durge <DOT> org. It should be fairly easy to work out my address from this information.